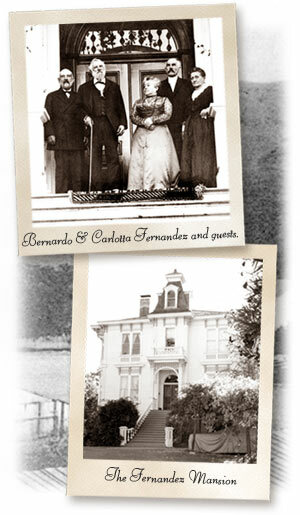 The Pinole Historical Society was incorporated in 1974, with current board member Dr. Joe Mariotti and Director Emeritus George Vincent as charter members. They provide a wonderful background and inspiration for us to achieve our mission. 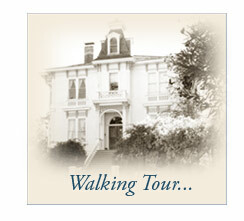 Since revising and updating our bylaws in 2008 — and again in 2012 — the Pinole Historical Society has strived to meet its mission of promoting awareness and appreciation of history through preservation and education, and chronicling the city’s heritage for current and future generations. Our board of directors is working hard to deserve its viable charitable, private, non-profit organization classification, capable of negotiating meaningfully with the city of Pinole for a location for a municipal museum, and deserving of needed sustained financial support from foundations, grants, bequests, etc. • In 2009, we began a community outreach program where PHS volunteers introduced Pinole history to fourth-graders in five elementary schools. George Vincent and Jeff Rubin prepared a one-hour program about the history and experiences of children in early Pinole schools at the turn of the 20th century. The program is still being presented. • Our outreach activities include talks illustrated with PowerPoint presentations from our now vast collection of photos to Pinole Rotary, AARP, the Pinole Library, St. Joseph Church Seniors, Sons in Retirement, Bay Park Retirement Residence, Pinole Senior Village, and the Pinole City Council. • We hold our annual Veterans Day Memorial and Flag Retirement Ceremony on November 11, commemorating those who served in the military, past and present. Participants include the Veterans of Foreign Wars, Boy Scouts, Girl Scouts, Cub Scouts, Brownies, Pinole Valley High School Marching Band, Pinole Police Explorers color guard, and hundreds of school children and folks from the community. In addition to speeches from veterans, city officials, and youth leaders, attendees share in the solemn ceremony of the retirement of worn flags by the Boy Scouts. The event draws as many as 500 people to Fernandez Park. • The PHS has conducts a successful essay contest in Pinole schools every spring. In 2009 and 2010, students answered the question “What does the American flag mean to you?” in our Flag Day Essay Contest. In 2011, for our Pinole History Essay Contest, students were asked to write about Pinole’s history or their family’s history. In 2012, students wrote about notable Pinole citizens, past and present. In 2013, students wrote about "What makes a community like Pinole so special?" The children have written some wonderful essays. • PHS Newsbriefs, our newsletter, begun in 2008 as a two-page information sheet, has expanded to 16 pages. In addition to historical articles about Pinole, the newsletter includes ads from more than 50 businesses. The newsletter reaches several thousand people via more than 2,500 printed copies placed in more than 60 locations in Pinole, Richmond, El Sobrante, Hercules, and Rodeo — and countless more via our website and e-mail database. • PHS E-News, our on-line magazine, was started in 2011 to report recent and upcoming PHS activites and events, and programs of other historical societies and organizations. To receive PHS E-News, send an e-mail to info@PinoleHistoricalSociety.org and put “E-NEWS LIST” in the subject line. We will add you to our list. • PHS members/authors George Vincent, Jeff Rubin, and Dr. Joe Mariotti wrote — and Arcadia Publishing published — Images of America: Pinole, which chronicles the city’s history from its pre-settlement days to the present. We had four book signings and, as of September 30, 2013, we had sold 874 books. Including books sold at retail outlets and bookstores, more than 2,000 have been sold. • With the help of Pinole Community TV, our cable-access station, we produced and aired interviews with several prominent present and former Pinole citizens: Charlotte Shea, daughter of Dr. Manuel Fernandez, and granddaughter of Bernardo Fernandez, two of our city’s most famous citizens; former Fire Chief Alex Clark; former Mayors Jack Meehan and Tom Cutino; and longtime citizen Ed LeFebvre. Additionally, PHS Historian George Vincent led two walking tours of historic downtown Pinole that were taped and aired by Pinole Community TV. We are planning more interviews. • Our first exhibit at the Pinole Library for National Preservation Month (May 1-31, 2009) was so successful and received so much public attention that the library asked us if were interested in a second exhibit space, and then a third. We now have three exhibits that chronicle different periods in our city’s history. • On July 25, 2013, Wells Fargo Bank unveiled The Pinole Mural, a spectacular piece of art that chronicles important events and people in Pinole’s history. With images provided by the Pinole Historical Society, Wells Fargo’s graphics staff created a magnificent addition to our historical archives. The mural resides on the back wall of the bank’s Pinole office at 1374 Fitzgerald Drive. Please stip by and take a look. To commemorate the event, Wells Fargo Bank created a video featuring descendants of people in the mural. Click here to watch The Pinole Mural video. All this in addition to membership meetings that focus on interesting people, events, architecture, and industry in Pinole. In 2009, the PHS worked with the city of Pinole and museum consultant Kathleen Brown on a feasibility study to determine if a city municipal museum is feasible and could be sustained — it is, and it can! This was very good news for the city and our membership. We are working on funding for our museum. Click here to read the PHS by-laws.